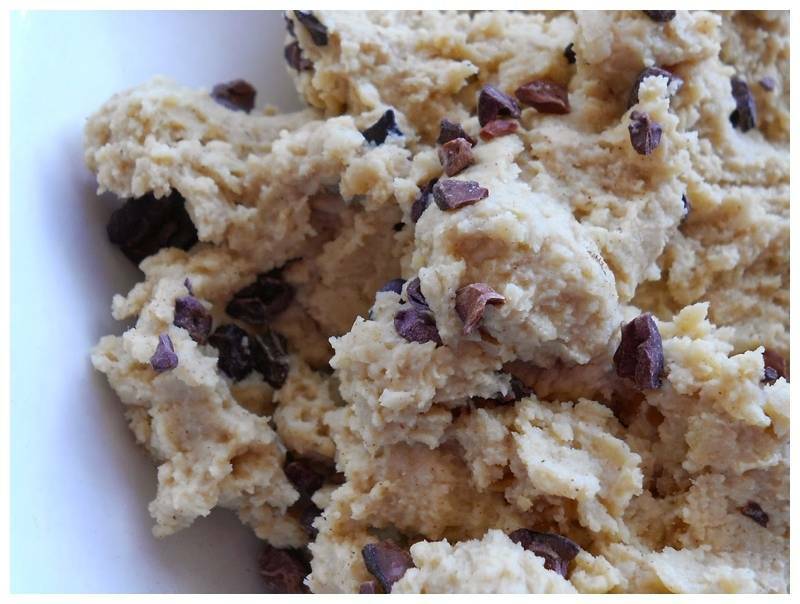 A recipe for cookie dough in which Greensweet liquid stevia is processed. Drain the chickpeas and rinse thoroughly with water. Put the chickpeas, soy milk, peanut butter, stevia and cinnamon in a food processor and mix until it has been given the correct structure. Spoon the cocoa beans through, grab a delicious big spoon and act like an American!